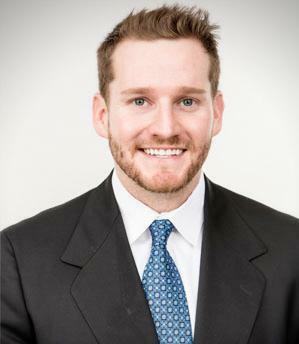 Jordan “JP” Phillips joined our firm in 2015. JP grew up in the small town of Lake City, Arkansas. His fun, energetic, and hardworking personality makes a great addition to our Jonesboro office. JP is a member of the Sage Meadows Country Club, and in the fall you can find him at every ASU Redwolves football game, as he is a season ticket holder. In his free time, he enjoys being on the river or beach, mountain biking, cooking out with friends, and visiting with family. He has two small dogs (of the Taco Bell variety) named Wylie and Susie. Although JP loves to get out and about, he particularly enjoys relaxing at home with his wife, Bethanie. JP claims that even though he is nearly 30, he can still dunk a basketball. JP is an alumnus of Arkansas State University, where he received his B.A. in Journalism and Economics. From there, he obtained his Juris Doctorate from the University of Arkansas School of Law in 2015. He is a winner of the William H. Sutton Barristers’ Trial Competition and a member of Arkansas Trial Lawyers Association. JP is licensed to practice law in Arkansas.